e s n of North Checksfield, Thos. e s n of North Coleman, Chas. e s n of North Preston, Simon M.
e s n of North Reeves J.,Reeves James W.
e s n of North Rudd, G.W. e s n of North Sanford, G. A.
e s n of North Savery, H. H.
e s b North & Fisher Hambright, G. F.; Hambright, Fred. 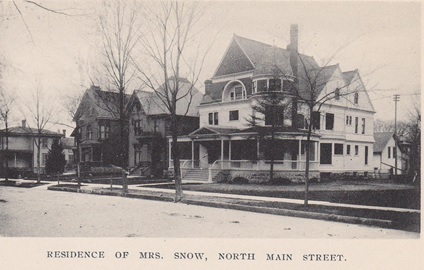 w s b North & Fisher Lowry, A. G.
w s b North & Fisher Moulthrop, L.; Moulthrop, Mrs. M.
w s b North & Fisher Searle, Geo. 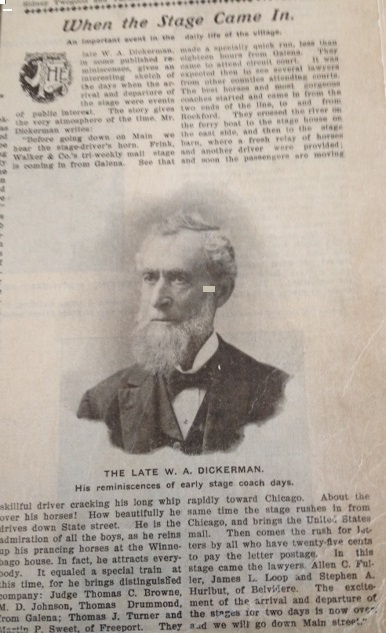 w s n of North Dewey, S. J.
W. A. Dickerman (portrait) remembers Frick, Walker and Co.’s mail stage coach weekly from Galena, IL. 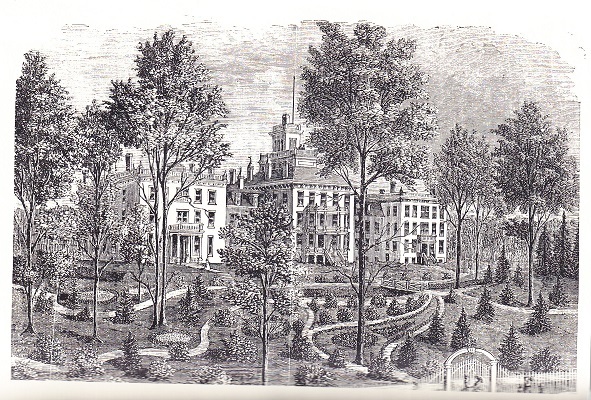 The Rockford Female Seminary originated in connection with Beloit College, and its founders designed to make liberal provisions for the thorough collegiate education of young women. Board of trustees: Rev. Joseph Emerson, Beloit, Wisconsin, pres. ; Rev. 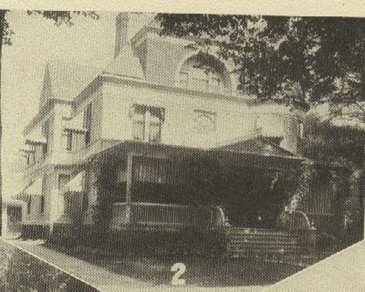 Wm S Curtis, D.D., Rockford, vice-pres. ; Rev. 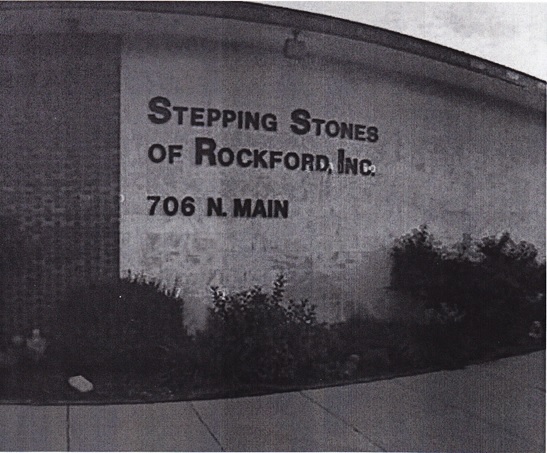 Frank P. Woodbury, Rockford, secy., Thomas D. Robertson, Esq., Rockford, treas., W.A. Dickerman, Esq. Genl Agent. 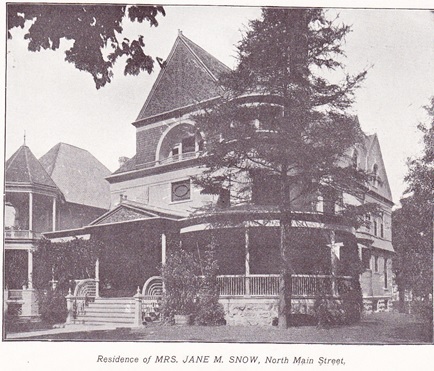 Source: Brainerd’s Rockford City Directory for 1876, pp 24-25.